We’ve had a strong interest in the recent return to popularity of medium format cameras. However, for the most part it’s been all about the cameras themselves. What will the next amazing Phase One, Pentax or Hasselblad medium format be capable of? We don’t know but we’re excited to find out. 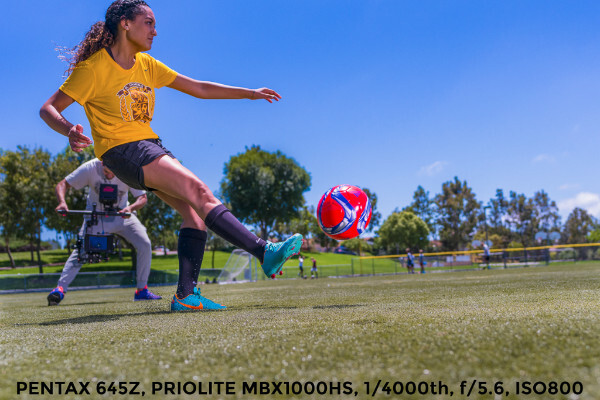 German accessories manufacturer, Priolite, is adding excitement to the medium with their recent spate of camera accessories. 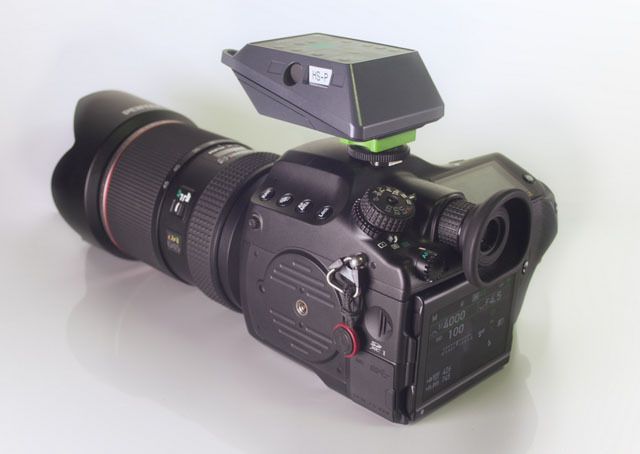 The latest is PRIO REMOTE HS, which was designed specifically for the Pentax 645Z and 645D cameras. They claim to be the only available hot sync solution for any medium format camera, which might be overstating things a bit. For more details on the PRIO REMOTE HS, check out the full press release below. Medium format shooters had long the advantage of being able to use Leaf Shutter lenses at up to 1/1600th of a second, enabling them to moderately freeze motion and effectively balance ambient and flash light. Not all cameras have access to LS lenses, and some are limited to 1/500th shutter speeds. What if one wants to freeze fast motion, or compensate for extreme differences in ambient and flash light? With the introduction of the PRIO REMOTE HS for Pentax cameras, 645Z and 645D medium format shooters now have access to flash sync speeds of up to 1/4000th of a second, easily exceeding the best solution available today for other medium format cameras, and at a fraction of the cost of dedicated LS lenses.PRIOLITE offers the only HotSync solution for medium format cameras today, and combined with up to 1000Ws output on a single light, provides a superior alternative to expensive LS lenses on other systems. Speaking of Medium Format: If you are shooting with the Pentax 645z and are used to work with CaptureOne, you probably noticed that you are unable to import Pentax files into CaptureOne (or use a hot folder for tethering for that matter). There is a solution to this problem, allowing you to tether or batch process files, and make them work in CaptureOne. Checkout www.alexmunoz.net/capturefix/ for more on that. Freezing motion at up to 1/4000th of a second enables medium format camera users to take pictures previously only possible with a DSLR with no need for expensive Leaf Shutter lenses. Compatible with the Pentax 645Z and 645D, the PRIO REMOTE for Pentax cameras enables flash sync at up to 1/4000th of a second (up to 1/8000th on Pentax DSLR’s) with all PRIOLITE HotSync lights. 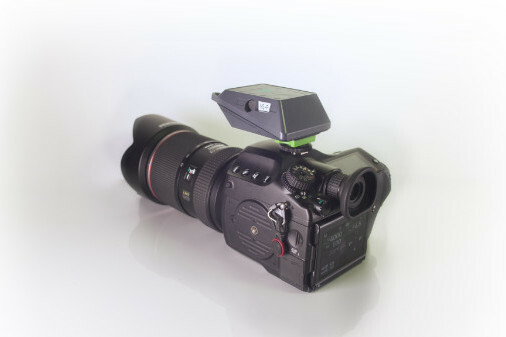 We know that many professional photographers use many different cameras, which is why we designed the PRIOLITE system with versatility in mind. Today you might be shooting Pentax, and Sony, but tomorrow you could be switching to something else, and all you would have to do is simply buy the matching PRIO REMOTE HS to add compatibility to all your existing PRIOLITE lights. It’s that easy. Head over to www.priolite.us and find out what we are all about, or place an order directly at shop.priolite.us.